Featuring leading international architects, artists and thinkers this symposium investigates the legacy and impact of British architectural pioneers Alison and Peter Smithson across urbanism, habitation and education. 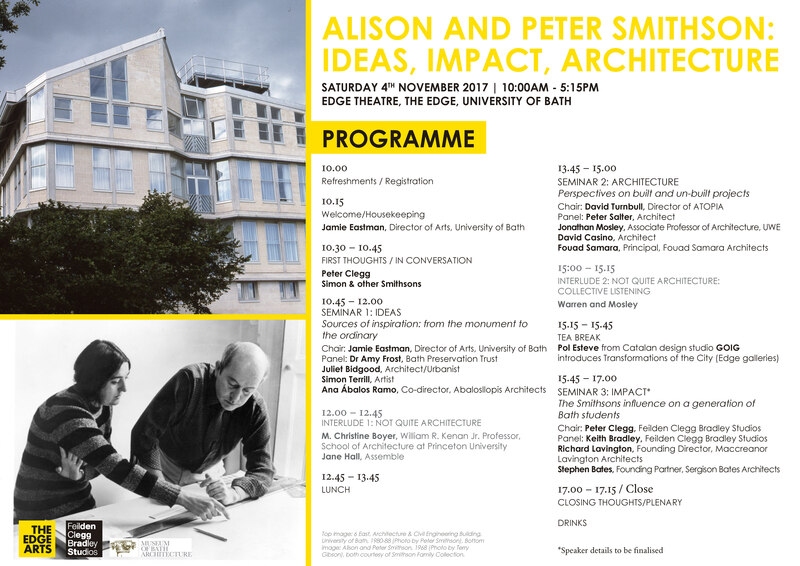 Alison and Peter Smithson saw architecture as a direct result of a way of life, responsive to the demands of contemporary living. 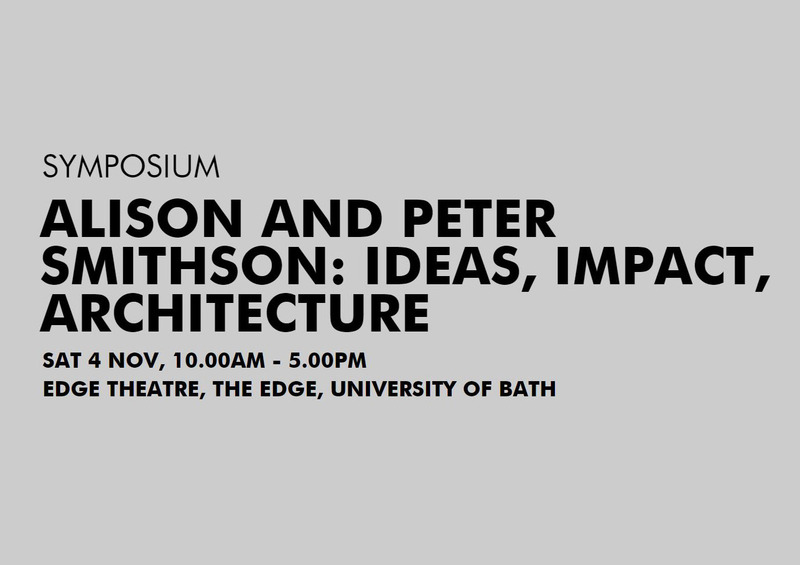 This approach permeated their designs for the University of Bath including the University theatre (1990) in which this symposium will take place. This event is designed to appeal to audiences with a specialist or broad interest. DOWNLOAD PDF OF SCHEDULE HERE. Bios and full programme notes will be released shortly.